Wednesday evening was the kick-off of the fall Caldwell County CERT Basic Training Class for new CERT members. The first night participants learn about disaster and emergency preparedness, CERT organization using the Incident Command System (ICS), deployment, and documentation. 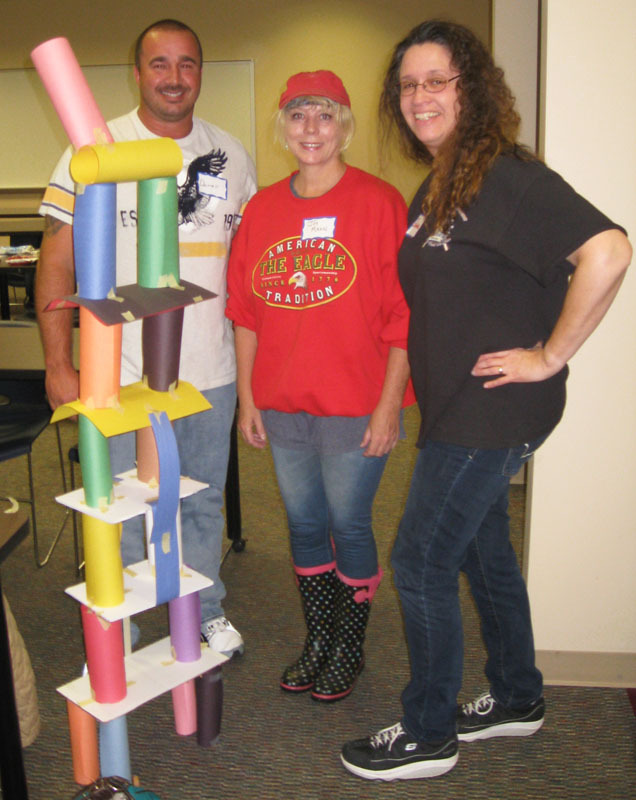 One exercise they successfully completed was to build a five foot tower using nothing but construction paper, tape, scissors, and a couple of small pieces of cardboard. They learned that even strangers with limited resources and a defined goal can be a successful team. On October 10, 2015, several area emergency services providers participated in a disaster drill. The exercise scenario was based on a school bus full of students overturning after colliding with a propane truck. 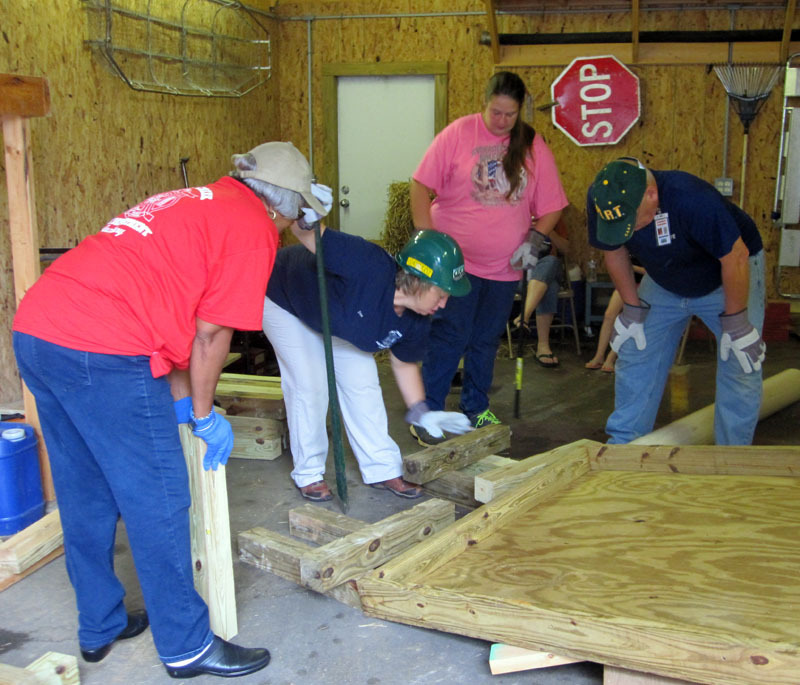 CERT volunteers participated along with area fire departments, Caldwell County Emergency Management, two hospitals, the Caldwell County school district, NC State Police, and others. The drill was an important tool to assess the organization, skills, and readiness of emergency services providers during a disaster. The drill helped identify training opportunities and improvements in coordination and communication. Three CERT members, Rosemary Hall, Michaela Hall, and Mark Barrera, were responsible for the trauma moulage (make-up) to make the victims appear injured for more realistic assessment and treatment by the first responders. 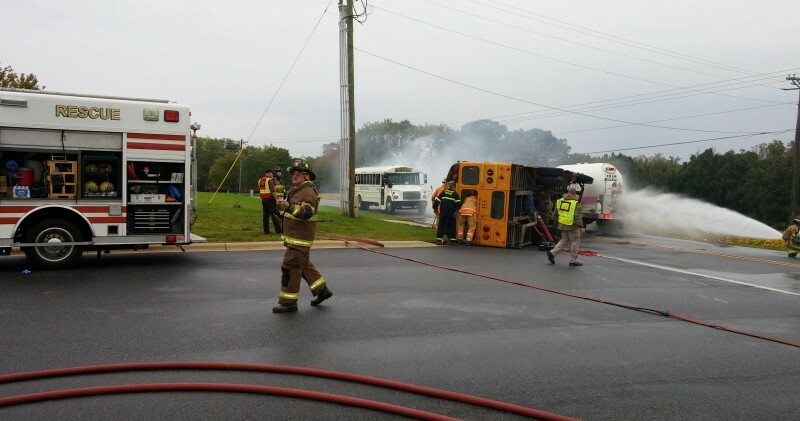 CERT member Curt Hiller played the role of the severely injured bus driver, and Maria Hiller took photos throughout the exercise. We will have a basic CERT class soon for new Caldwell County CERT members and CERT members who would like to make up a missed class. Please share with family or friends who would like to become part of our Caldwell County CERT team. Classes will held for four evenings and one Saturday morning from Wednesday, October 28 through Tuesday, November 3 at the Caldwell County Health and Human Services building on Morganton Blvd. in Lenoir, NC. Details and registration information are included in the Fall Basic CERT Class Announcement. Let us know if you are a member of an employer group, church, civic club, neighborhood group, school, etc. who would like to schedule a basic CERT class for your group. Lenoir, NC 2015 Foothills Fire & Life Safety Expo – The 2015 event due to take place from 10am to 3pm this Saturday, October 3, 2015 on the grounds of Caldwell Community College & Technical Institute has been cancelled. The latest weather forecast for this weekend has led to the cancellation on the grounds of public safety. With increased potential for heavy rain, increase in wind gusts and uncertainty in the atmosphere, the event committee has decided to postpone the event due to safety concerns. The safety of participants, volunteers and spectators is and always has been our top priority. After careful consideration with event officials, the Office of Emergency Management, and the National Weather Service out of Greenville-Spartanburg, we have made the difficult but necessary decision to cancel this year’s Foothills Fire & Life Safety Expo. Allow your registration fee to be donated to Caldwell County Fire Rescue Association’s prevention activities fund. In the very near future we will communicate to all interested parties the rescheduled events date. We want to express our deepest thanks to all of the participants, volunteers and spectators who have long trained, worked and traveled to support the Association, Emergency Services agencies and area businesses in the region through this amazing annual event. We hope everyone will continue to support Emergency Services and the Foothills Fire & Life Safety Expo!